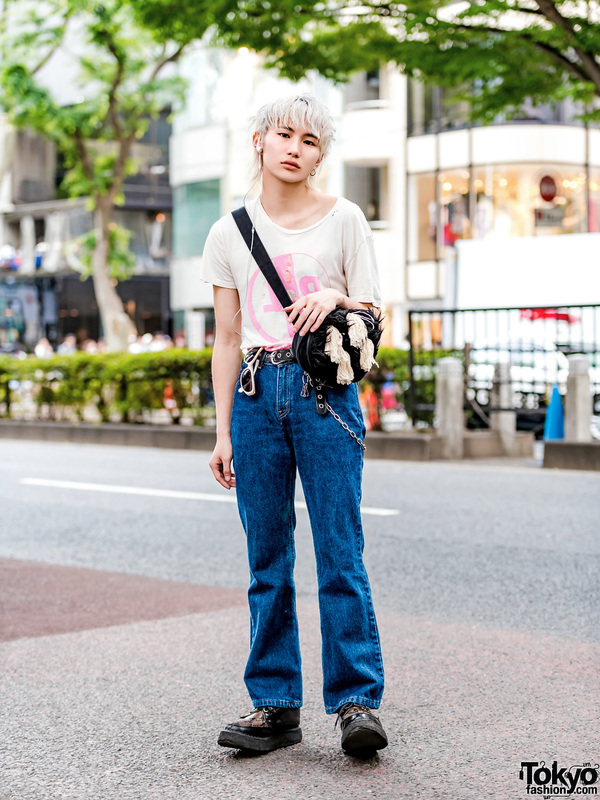 Japanese student showcasing casual-cool street fashion in Harajuku. 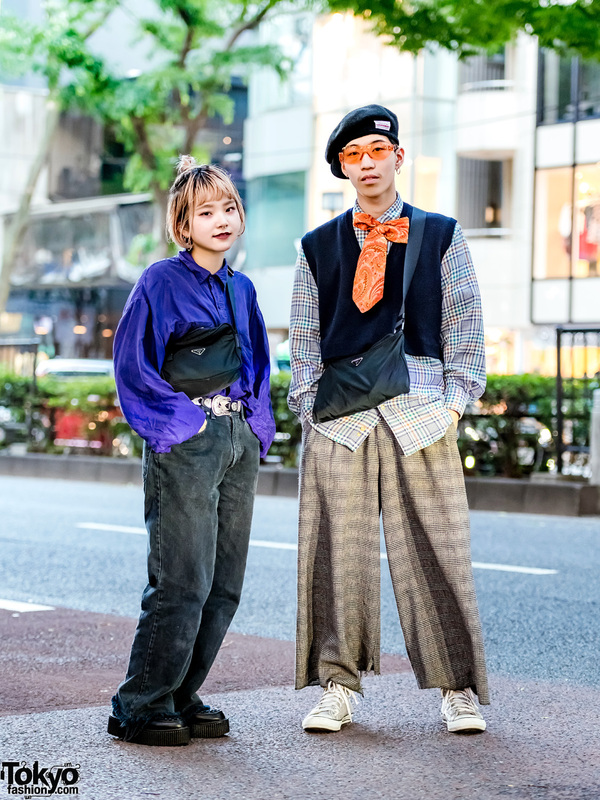 Japanese hair stylists showcasing vintage and plaid street fashion in Harajuku. 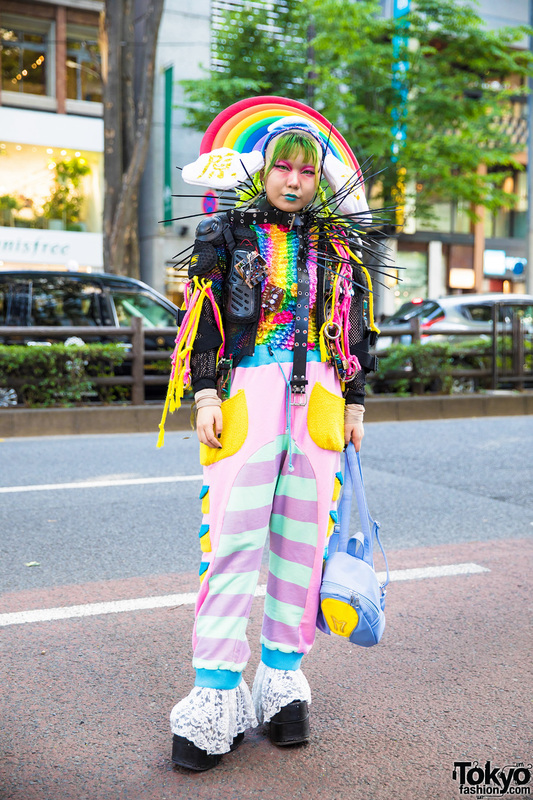 Japanese fashion student in multicolored avant-garde fashion while out and about in Harajuku. Japanese student in colorful handmade and vintage street fashion while out in Harajuku. 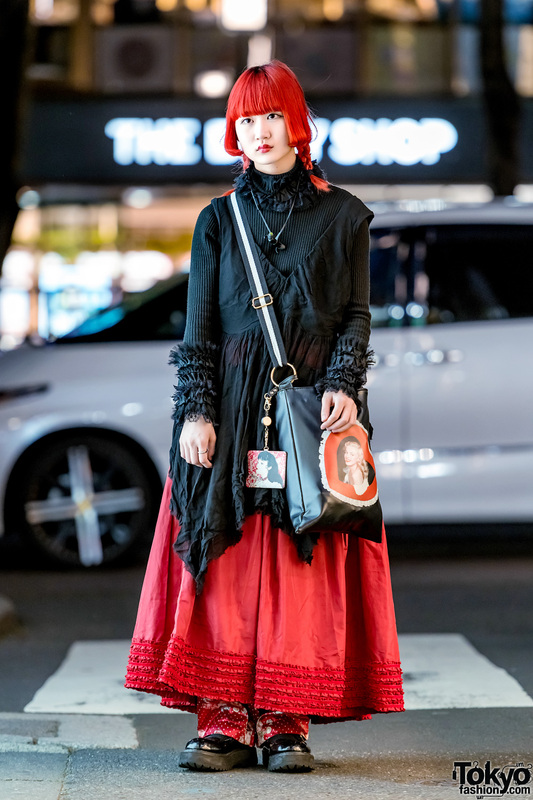 Japanese student showcasing vintage street fashion in Harajuku. Japanese teen showcasing all-black street fashion in Harajuku.